Don’t have a costume yet? Try our urbanist Halloween costume generator. Happy Halloween from GGWash! If you've procrastinated on coming up with a costume this year, we're here to help. 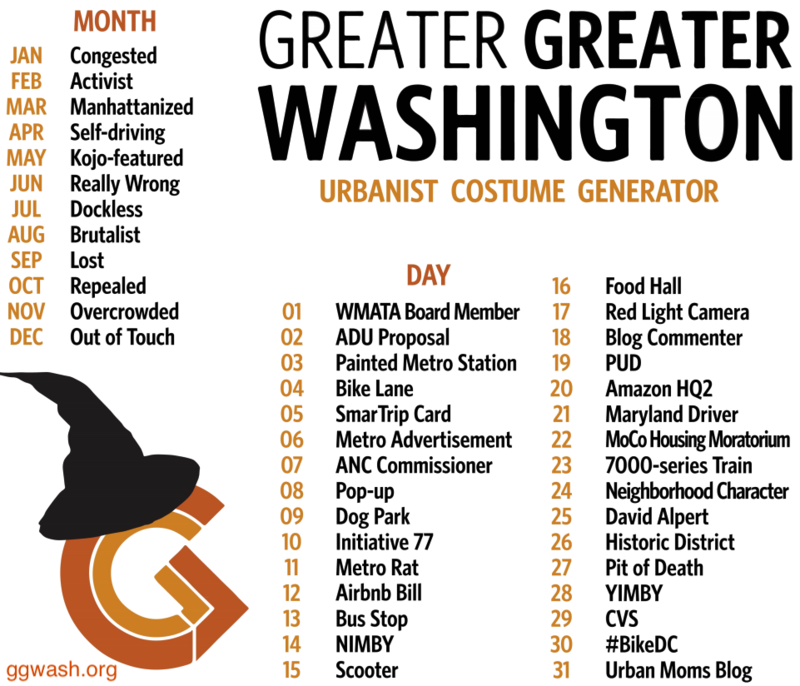 Check out our urbanist Halloween costume generator—just find your birth month and day. Idea by Joanne Tang, graphic design by Rita Abou Samra. Joanne Tang is Congested #BikeDC, Julie Strupp is a Really Wrong Maryland Driver, and David Alpert is a Congested Pop-up. David Whitehead is an Activist PUD, and he dressed accordingly this morning. David Whitehead as an “Activist PUD.” Image by Julie Strupp. 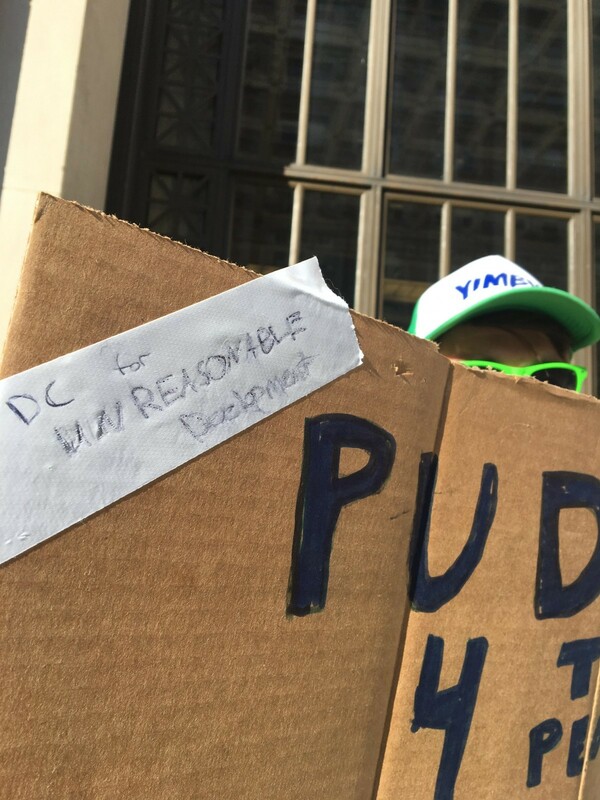 “DC for unreasonable development.” Image by Julie Strupp. 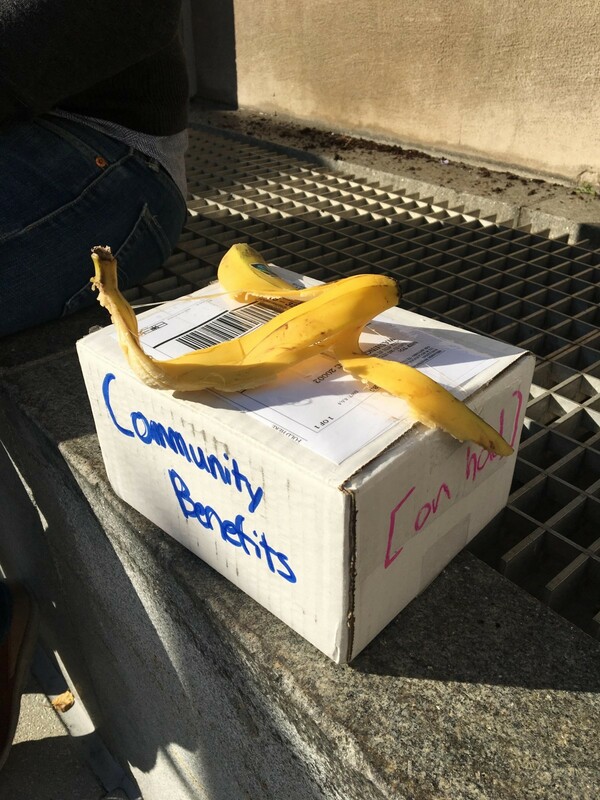 Community benefits “ap-peeled.” :( Image by Julie Strupp. Readers: What urbanist costume are you? Thumbnail: Activist PUD by Julie Strupp licensed under Creative Commons. Greater Greater Washington's editorial board is a group of volunteers responsible for our editorial direction and policies as well as any official editorials. If you are at the Capitol South Metrorail station and head outbound on the Blue, Orange, or Silver Line, what is the next station you will reach? Feel free to ignore station subtitles.